In the future we'll use the internet for job interviews, to report crime and bad drivers, to calculate our carbon footprint and even to get alerts if our kids are skipping school. At least that's what a new report says the British public wants from the web in the future. A quarter of parents said they wished to receive immediate online alerts if their child hasn't turned up for registration, according to a national study by online public services portal Directgov . Online PTA meetings was another wish from one in ten parents. Some even wanted to track their children's movements outside school as a safety measure. Among 14- to 18-year olds, a fifth said they wanted to use the internet to take virtual tours of colleges and universities they are interested in. Another fifth said they wanted to get virtual driving lessons online. One in eight wanted to earn money online rather than get a traditional Saturday job. The over-50s most desired a guide to local services for their age group, including transport, leisure, learning and health. One in six also said they wanted to stay in touch with friends and family by using webcams and video conferencing. Planning for retirement, tracking pensions and making money online also featured highly. The report says that motorists wish for online services that would save them time and make them more responsible drivers. Over one in five wanted to be able to renew their car tax online, one in ten to put their car through a virtual MOT and the same number wanted to renew their driving licence online. One in seven drivers said they wanted to be able to calculate the exact carbon emissions of their car, while younger motorists wanted to be able to report bad drivers. For disabled people, future services would include those that would allow them more time and freedom. One in ten (one in five drivers) most wanted the ability to plan journeys with accessibility mapped out according to their requirements. And over one in ten wanted check-ups online by 'virtual medics'. 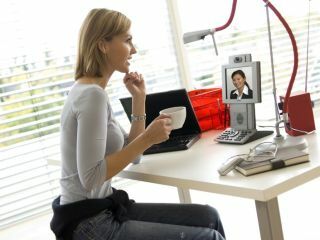 Other wishes included to be able to have face-to-face meetings such as job interviews or benefit claims renewals online. "With two thirds of our sample saying that the internet is invaluable in helping them to manage their lives, this project helps us to understand what information people want and to scope out the future of online services," said Jayne Nickalls, chief executive officer of Directgov. "Although each group has different needs and priorities, some themes did emerge; staying connected with friends and family, saving time and hassle by increasingly moving to web-based contact with public services and tools that enhance life experiences." The survey questioned parents, teenagers, over 50s, motorists and disabled people.